Like many adventures of the heart and mind, this one began with a casual conversation – an exchange of greetings on Facebook with a friend. Joyce Yarrow: Good morning from Seattle! How are you? Archana Bhattacharjee: Completed a mission and I am happy. Archana: Wanted to felicitate a lady on International Women’s Day, who has been doing great work in a particular field and really deserves this honour. She normally avoids functions of this kind but she kept my request and agreed to come – but one day ahead. Birubala Rabha has been working hard to remove a social evil called, ‘witch-hunting’, prevailing in remote areas of Assam. She has started a mission now named after her, Birubala Mission, and has been doing great work to create awareness. Also putting pressure on government to enact a law to check such evil deeds. I want our students to listen to her and create awareness in their own areas. Joyce: What a great example for them. Joyce: Great! When will Birubala come? Archana: On the 6th she will arrive in my city and on 7th morn we will have our program at the college. If she reaches Jorhat a little early, I might get a chance to have a conversation with her privately…if she is not too tired from her travels. She will be accompanied by a doctor. At this point in our chat, an idea struck me and I asked if I could interview her about Birubala’s visit, for publication in Café Dissensus. She readily agreed. Archana: Good evening Joyce! Called up the doctor who is accompanying Birubala and confirmed some details of her journey tomorrow. They will probably reach between 7-8 PM. Archana: Birubala and her party are coming from Goalpara, which is very far away so they will be reaching late in the evening. I will meet them early next morning and take them to our college. Students and women from neighboring villages will also be present (two or three from each village).We have arranged a session where students and others have a chance to question Birubala. Students have already been briefed in various classes by their respective teachers. Our final exams are going on and we are in a mad rush. Joyce Yarrow: It sounds wonderful… I will send a few questions via email soon. Have a great day. What can you tell us about the practice and history of ‘witch-hunting’ in Assam? ‘Witch-hunting’ in Assam involves branding a woman as a witch or daini, mostly based on the declaration of an Ojha or Bez (quack doctor).This usually happens when villagers approach the village Ojha about someone who has a chronic ailment and the Ojah identifies a woman as the source of the sickness and she is branded as a daini or witch. Many incidents of witch-hunting have been reported from areas inhabited by people belonging to the Adivasi community. Normally the incidents take place in remote villages bereft of good medical facilities, sanitation, roads, schools, and infrastructure. 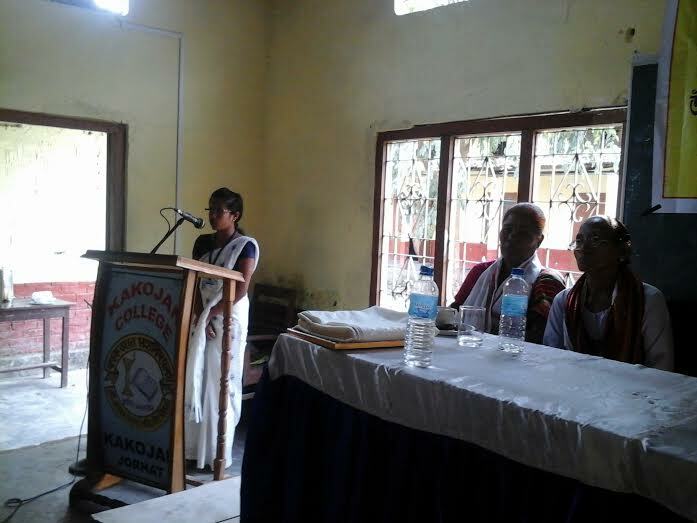 Another factor responsible for the existing practice is the patriarchal mindset prevailing amongst the male members of the village, motivating them to refuse to hand over property rights to the female members. In most cases, the women targeted are either widows or older single women and therefore more vulnerable. In recent times, however, even girls and young women have fallen into the clutches of these evil-mongers and been treated ruthlessly. “It is shameful that our government and civil society have failed to prevent such inhuman incidents even as many so far had been killed or ostracized. There is a strong need of penal provision and at the same time those affected by the evil practice should properly be supported, rehabilitated,” said civil rights lawyer Bhaskar Dev Konwar, a civil rights lawyer from Guwahati who appeared in court for his petitioner. What, if anything, has the government done to stop the practice of witch-hunting? Investigations into 15 per cent of the witch-hunting cases registered in Assam since 2008 have met with a dead-end. Police closed the cases, stating that no accused could be identified. Of approximately 85 cases registered with the Assam Police between 2008 and 2011, no culprits were identified. Investigation is ‘still pending’ in nearly 20 percent of such cases. Assam has yet to enact a law against acts of torture and murder in the name of witch-hunting. The intent of government agencies has also invited sharp criticism. Official sources informed that although a drafting committee was constituted by the Assam State Commission for Women and a draft of a “Bill Conferring Right to Protection Against Witch Hunting” was submitted to the government, the matter did not make any headway and remains like a skeleton inside the cupboard. 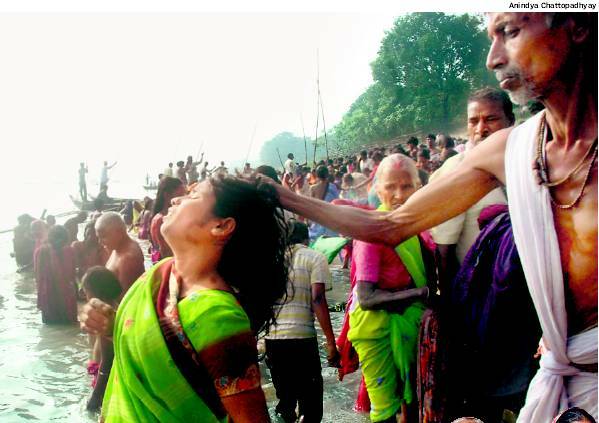 People in the State still remember the ghastly incident in which 38 people of Shikarigaon, a remote village on Majuli Island, were branded as witches and ostracized last year. This was certainly not the last case of witch-hunting in Assam. In another instance, taking place some months back, an elderly couple from Sapekhati village in the Udalguri district was chased out by villagers on a similar charge. Since then the couple have spent their days in hiding. What is even stranger is that the husband is a former college principal. Even as the State boasts of making progress on various fronts, there are still many more cases of witch-hunting and other superstitious practices that victimize scores of people and even take lives. When did you first meet Birubala Rabha and learn about her efforts to raise consciousness in Assam about witch hunting? I have been following Birubala Rabha’s work for a number of years through common friends and mission workers. Recently, I had the good fortune of meeting her in person, when she accepted my invitation and visited our college on the occasion of “Women’s Day” and was felicitated. I greatly admire this lady for her selfless service to society and her lone crusade against witch-hunting. One needs great courage and dedication to perform the kind of work she has been doing …sometimes risking her life too (from what she had told me). 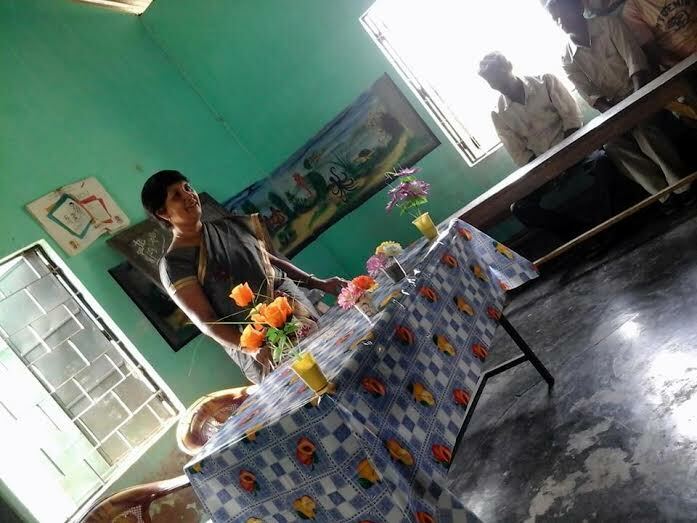 Even without formal education and training, Birubala Rabha was willing to shoulder responsibilities on behalf of other backward women of her society. She has gone to great lengths to save women who were victimized in her neighborhood and later, through her Mission workers, others targeted in far-flung places around the state. Her own bitter personal experiences motivated Birubala to take up her crusade against witch-hunting. 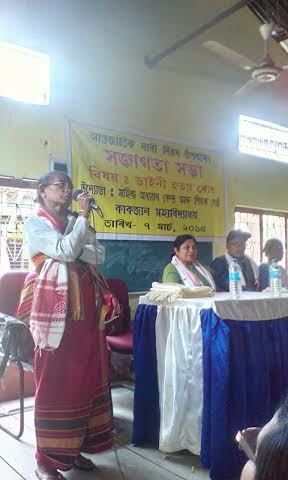 She was later supported by the Assam Mahila Samata Society, an NGO, way back in 1999. Since then Birubala Rabha has been relentlessly fighting against this evil practice and promoting other welfare activities to make the public aware of the necessity for education, health and hygiene, ill effects of liquor etc. Though I cannot come anywhere near her in deeds, I have taken Birubala as one of my role models and strive to do my own little bit for society. As a government employee with a full time job, I don’t have much leisure time…but whatever quality time I can spare I try to devote to some social causes. It keeps me positive and happy. Why did you feel it was important for your students and colleagues to learn about Birubala Rabha’s work? The younger generation has a lot to learn from people like her on how to serve our society in the best possible way. 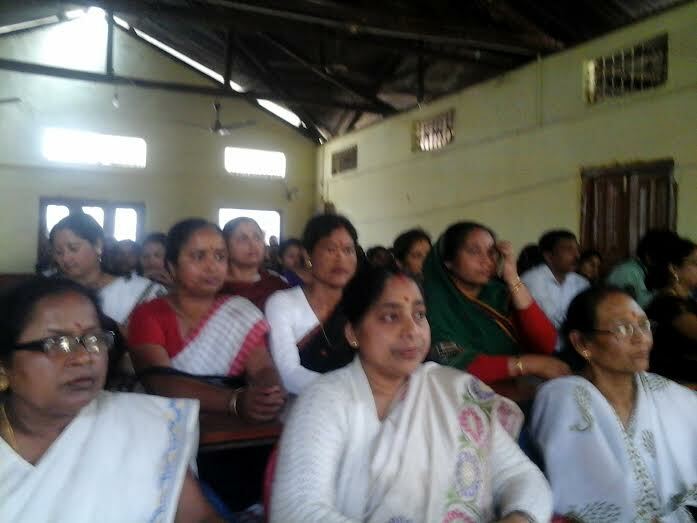 When I discussed the idea of bringing Birubala to our college with the Principal, Dr. Ruprekha Bordoloi and my colleagues, they all gave their consent without hesitation. And, thus, my dream turned into reality. I wanted Birubala to visit our college so that our students, staff, and women workers from the neighborhood could hear her life-story first hand and also learn how to serve their society. She is a text book unto herself and one has to learn how to go through the pages of her life and gain knowledge and wisdom from it. Students need holistic education to prepare them for real life and I always strive to give them that little ‘extra’ which cannot be found in their course books. What did your students know about the practice of witch-hunting before Birubala’s arrival? Our students have heard or read about this evil practice earlier but they have never taken it very seriously, because no such cases have been reported in our area so far. When I asked them what they would do if one such case suddenly cropped up in their village, they were at a loss and did not have any answers. That was when I told them that there is an urgent need for them to be aware of such evil practices and do all they can to stop them, so that it does not spread like an epidemic and cause havoc in their society. Did hearing Birubala’s talk change your students in any way? Birubala’s lecture was an eye-opener for the students in more ways than one. They were very moved by her story. I could see and understand their change in perception. Earlier they had taken the whole matter lightly…it seemed to me. But after hearing her talk about her life and experience they became very serious and concern was evident in their eyes and the questions that followed thereafter. I intend to take up the matter in the classroom tomorrow to get their feedback. But my gut feeling says that Birubala’s presence served its purpose and opened their eyes to this facet of society. Students are our ‘future’ and, if we want to create a better life and better society, we have to groom them from an early age and make them aware of their social responsibilities. Youth Power can truly bring about positive transformation in the society. As educated members of society, it is our duty to prepare our future human resources and put them to the best possible use for the uplifting of the downtrodden and marginalized sections of the society. Did Birubala ask students to take action on any specific issues? Birubala specifically requested that the student community come forward to work for the good of society. They have the energy, drive and education to examine things in the right perspective and create awareness so their people are not led astray by the devious scheming ways of money and power-hungry human monsters. Birubala wants students to work in their own areas to eradicate superstition or practices of ‘black magic’ through awareness programs. She has asked our Principal to create a Cell through which her message can be conveyed to the neighborhood. 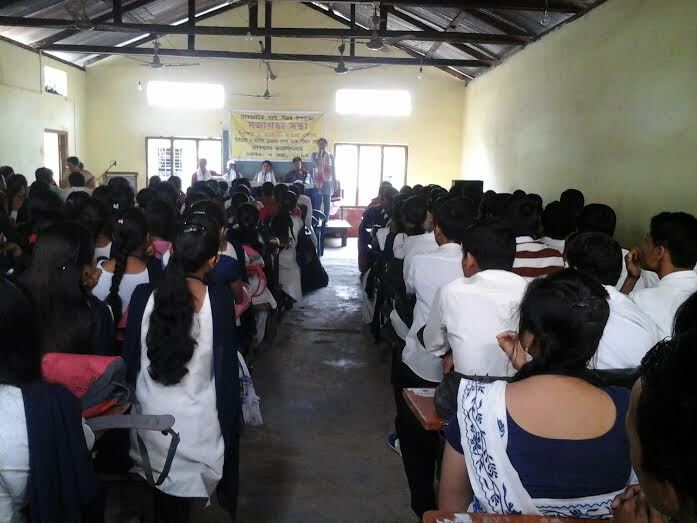 She asked all interested students to come forward and join her Mission. Many students on their own expressed their desire to do something to help her and she was very happy to receive such a positive response. What future plans do you have to work with your students to put their newfound knowledge to work in their society? Before Birubala’s departure from our college, I made a promise that her long journey from her hometown, Goalpara, will not go in vain. I personally will take an initiative in our neighboring villages with the students and start awareness work. Keeping my promise, I did visit a plantation village the very next day and started my mission as a tribute to this great lady. It was a big success and now I feel I can stretch out further to pursue my vision and mission. Archana: The best piece of news which made me SOOOOOOO happy today is hearing from her mission that Guwahati University has conferred an honorary PhD degree on Birubala Rabha. Joyce: That is fantastic news! Archana: I was so happy when I got the news this morning from her mission workers. It made my day. Joyce: It shows that some people in academia are waking up to the fact that knowledge gained from life and experience is the best kind… and action taken to improve society is invaluable. Joyce Yarrow is a Pushcart nominee and the author of the Jo Epstein mystery series: Ask the Dead and Russian Reckoning. Her most recent novel, Rivers Run Back (Vitasta Publishing, 2015) is a romantic thriller, co-authored with Arindam Roy and set in India and North America. Joyce has worked as a screenwriter, singer-songwriter, multimedia performance artist, and most recently, a member of the of the world music ensemble, Abráce. Follow her @joyceyarrow or visit her blog at http://joyceyarrow.blogspot.com. What an enlightening and enriching experience to read about these two phenomenal women and to know these unsung crusaders against such gross injustice and social evils of such mass proportions, Joyce Yarrow! I feel so shameful that such sick, mindless and primitive things like witch hunting and slandering of women still happen in broad daylight…we apparently seem to have come a long way since the days of burning the Sati and other harrowing deeds on women, but still the seeds sowed by ignorance and blind superstition continue to bear such vicious fruits, but salutes of these strong and determined women who are working on their own without minimal bureaucratic cooperation to eradicate evils like these and trying to build a saner world for women in the villages. Thanks much for sharing this edifying interview with us! Thanks Lopa for your thought provoking views. We still have a long way ahead of us but we are not gonna give up our crusade halfway .The Mission started by Birubala has to reach the desired goal to make up for all the pain,trauma and sufferings of hundreds of women like her living in remote areas of Assam, who fell victims at the hands of sadists and power hungry,cruel monsters in the garb of human beings. 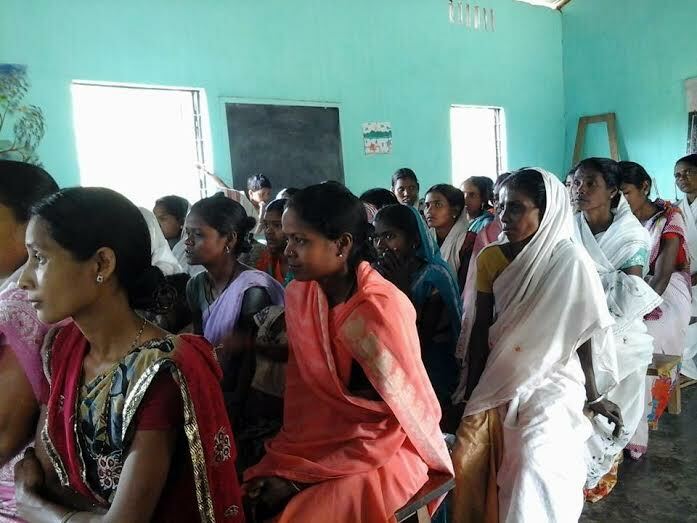 Lack of education amongst rural women is a dominant factor responsible for the prevalence of such inhuman practices. It is our responsibility now to create awareness about importance of education in the backward areas ..so that the simple villagers become free from blind superstitious beliefs and ideas and live and work together to create a better life for themselves and the society.We owe a lot to the editors of Cafe Dissensus for giving us space to express our views on this important issue.A big thank you to my dear friend Joyce Yarrow too, for her role in this joint venture. She has proved that geographical boundaries cannot restrict one from reaching out her hands to support the cause of humanity…no matter who you are…or where you are…all that matters is the bonding which bridges the hearts. I appreciate you and your words so much, Archana di! Do keep us posted! It was quite inspiring to read the interview. Frankly, I had forgotten about witch hunting since coming out-of-Assam. Though the sheer injustice and calculated madness of witch-hunting had registered in my mind, the brutality of the thing had not gone down deep inside my heart. Then I read Ipsita Roy Chakraverti’s autobiography ‘Beloved Witch’ and came to understand the whole thing better. Greed, fear and lust for power seem to be some factors behind these witch-hunting. Greed to possess the possessions of those poor women labelled as witches, fear of the knowledge some of these women possess, knowledge which make them powerful and independent in a male-dominated society, and the lust for power over these women and for the positions they might occupy. It is all a senseless, and often lamentably deliberately evil affair. So many good, extraordinary knowledgeable men and women have been killed, burnt at the stake since many centuries past in the European countries, but that this should continue to happen today in Assam and I am sure many other places in the world shows us sadly how dangerous it is to be too knowledgeable especially about matters that are not outright mundane, worldly, of immediate commercial value. Every man and woman who has dared to be different, dared to be original, dared not to go with the crowd has at the very least earned a label and at the most been tortured physically and mentally and even killed. Thank you for sharing this interview. 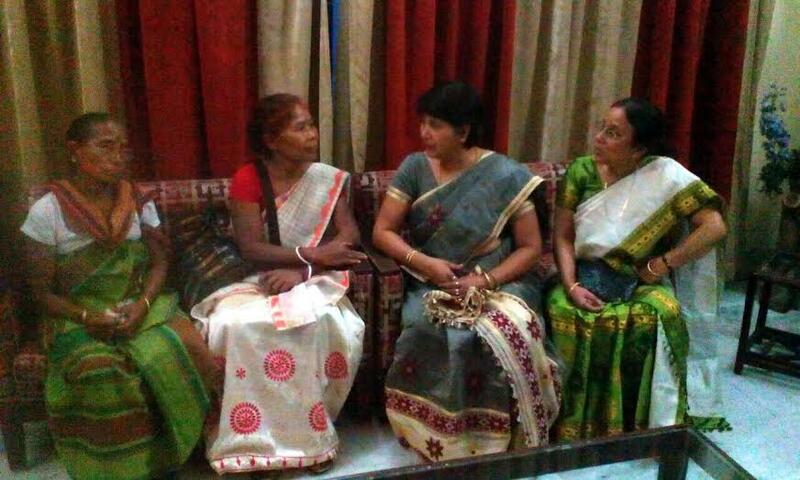 I do hope many especially the young of Assam would come forward to support and help Birubala Rabha and those like Archana Bhattacharjee who inspired by people like her are doing their mite to make our society better. Every little effort counts and the least help matters in fighting such evils. 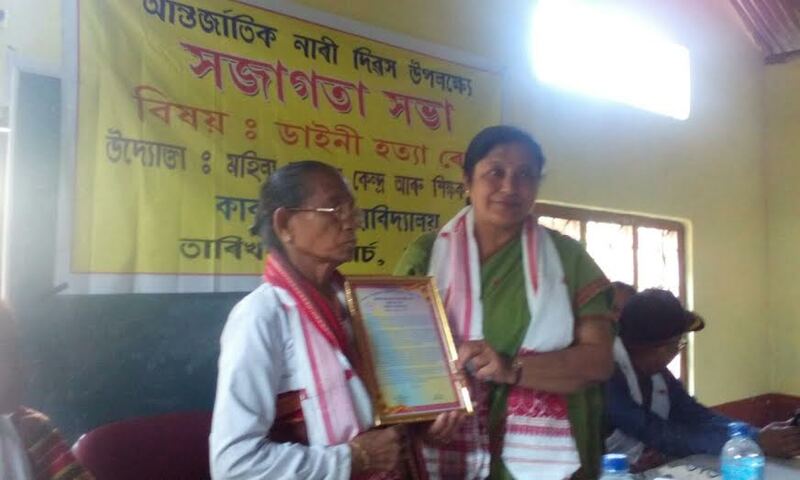 I also feel happy that Birubala has been awarded a PhD by Gauhati University and hope she and others would continue to keep working to eradicate this and such evils from society. Education, a holistic education will also help lighting up the dark nook and corners of our society. It is such a huge task that one quails to even think of it, but then many a little makes a mickle and the effort by Birubala and others can one day help eradicate social evils like witch-hunting from Assam and other places. Ankur – your thoughtful and well-informed comments are both encouraging and inspiring. Thank you for the historical, sociological perspective. Like you, Archana and I are hoping that young people will carry the torch of enlightenment on this issue. Thank you, Ms Joyce. Being an Assamese myself, I was actually feeling ashamed of how dehumanized greed can make us human beings. 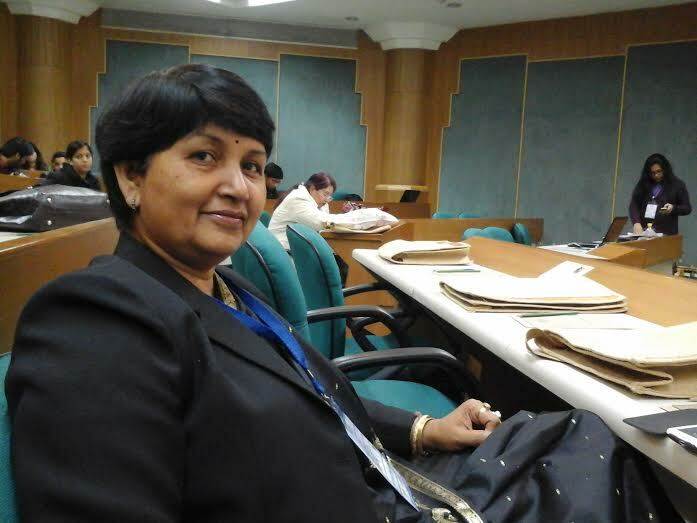 Archana baideu (elder sister) says that ‘it has taken the form of an epidemic’. I was unaware of that. Really the Government needs to step in urgently if that is the case. And the NGOs too. One good thing is that this evil is being recognized as existing and also an understanding of it has being gained. It is said that to recognize and acknowledge a disease ensures half the cure. The intelligentsia at large also need to speak and write against this evil leaving their comfort zones as Archana baideu says. Assam was such a lovely state once both physically and in terms of its human resources. But dirty politics and the inaction of the common Assamese to recognize and act against the evils rearing their head has altered the face of the State like anything. I hope, we the people, wake up before it is too late and make the Government wake up too. Thanks so much! Cafe Dissensus encouraged Prof. Bhattacharjee and myself by offering space here and it is very gratifying to see the dialog that has resulted. Thank you Dr Ratan Bhattacharjee for your encouraging words.Having lived in the Goalpara district of Assam earlier you might have heard of this practice .Considered by public as minor issue earlier, and failure of govt to stop and check such inhuman behaviour by a section of the society ..now it has taken the form of an epidemic and creating terror amongst women folk living in remote n outskirt areas.If the Govt does not enact a law or do something serious to check such evil deeds ,a time will come when the word ‘society’ will be replaced by the word ‘ jungle. ‘Are we not responsible for our fellow brothers and sisters …a question we all need to ask ourselves when we keep ourselves confined to our own personal comfort zone.